Well this doesn't happen very often! Preparing for next year, getting organised. It's unheard of in this house. So yesterday afternoon I had a cheeky look on premier seeds website. And whilst ordering five litres of Chilli Focus fertiliser I got some of next years seeds in. We are going to mainly focus on chilli plants for next year, giving the sweet peppers a miss and cutting back a little on the Tomatoes. Maule Hot, these go up to about 30,000 on the Scoville scale. 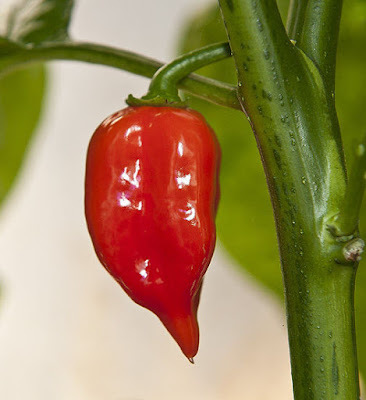 Satans Kiss, a small chilli pepper from Italy. The Italians stuff them with Anchovies and Mozzarella, they get to around 50,000 Scoville units. They were mighty hot when just eaten raw and have proved to be very useful in cooking, they can get up to 225,000 Scoville units. 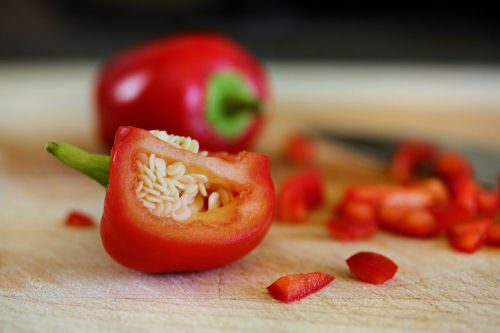 Scotch Bonnet (red). We have one of these growing in the greenhouse, so far it has just two fruits and some more flowers. So maybe there will be more fruit to come. 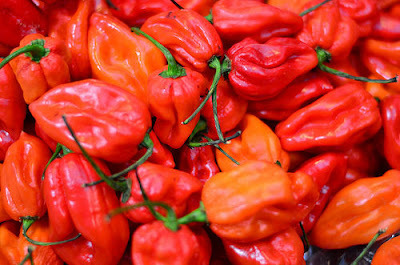 These get to about 350,000 Scoville units. 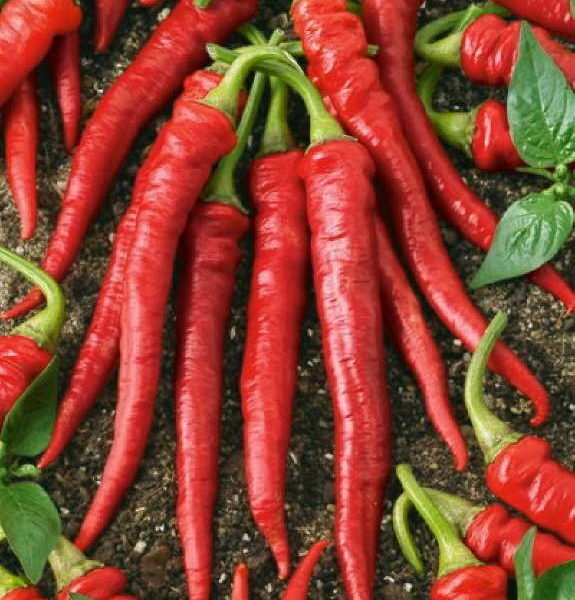 Habanero Red. 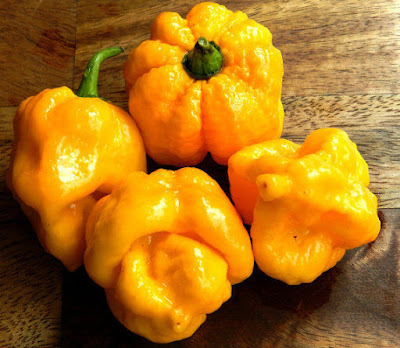 Very similar to a Scotch Bonnet and about the same heat as well. 7 Pot Yellows. I had never heard of these before, but Tina had a recipe the other day that called for them so I thought I'd order some seeds and give them a go. These are between 800,000 - 1,000,000 Scoville units so it will be a "handle with care" on this one. And last but not least! And potentially the most difficult to grow are the Bhut Jolokia which are also known as Borbih jolokia, Naga jolokia, Nagahari, Naga Morich, Raja mirch. 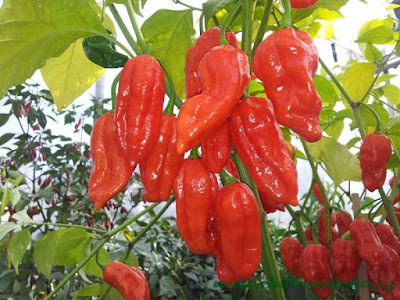 1,041,427 Scoville units so again better use gloves when dealing with this one. I also have Cheery Bomb, Tabasco, Ring of Fire and Cayenne seeds from this year. It's going to be a full greenhouse, might have to build another! So watch this space! 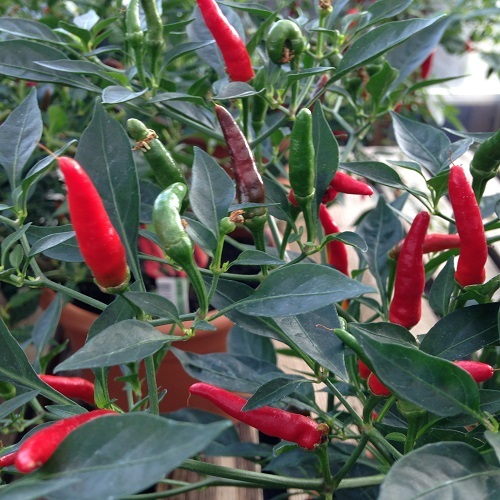 Tina will be knocking up some super hot sauces next year along with spicy chutneys and pickles.